On Saturday April 30, New Jersey Ambassadors in Motion attended Healthy Kids Day at the Metuchen YMCA. This year marks 25 years since YMCA began the Healthy Kids Day Initiative, an event that is celebrated across the country and engages over 1.2 million people. The purpose of the day is to improve health for kids and families by creating active lifestyle habits that kids can take into the summer, a time when kids tend to gain more weight and fall behind academically. The Ambassadors participated in this event by setting up a table with materials promoting bicycle safety. About 25 parents with young children stopped by the table and picked up brochures and flyers on safe riding tips. Kids were particularly excited about the glow in the dark bracelets and reflective zipper tags. Ambassadors discussed with parents and children about how they can be used to increase visibility when riding at night. The Metuchen Police Department Bike Patrol was also at the event to talk about bicycle safety. 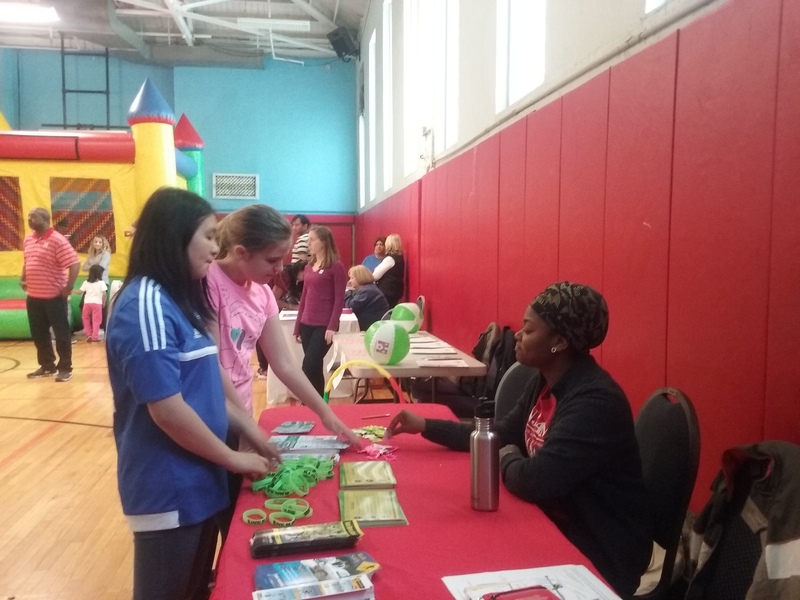 In addition to other fun activities for kids like face-painting and a bounce house, the Middlesex Greenway Coalition introduced the “Healthy Middlesex Greenway” in partnership with the Office of Planning and the Office of Parks and Recreation. 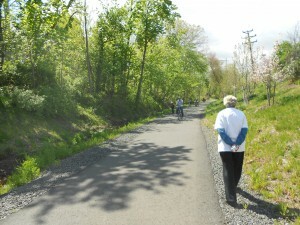 The Middlesex Greenway is a multi-use trail that extends from Metuchen to Woodbridge, and a guided walking tour was offered at the event. The goal of the greenway is to encourage walking in daily routines as a form of exercise; the greenway is now part of the main route for the YMCA Adult Walking Club. Click here to learn more about the Ambassadors in Motion, a program funded by the New Jersey Department of Transportation. The link also provides information on how to request an ambassador for your future event. This article was written by Nimotalai Azeez, a Research Assistant at the Alan M. Voorhees Transportation Center. She is currently pursuing a Masters of City and Regional Planning at the Edward J. Bloustein School of Planning and Public Policy at Rutgers University.